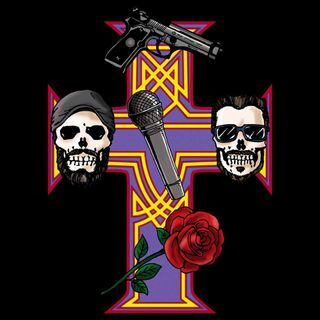 This episode we interview Raz Cue, a name you may or may not know in Guns N' Roses universe. Raz has a new book, The Days of Guns, & Raz's, which is a must-read not just for every GNR fan, but for book lovers everywhere. Paralyzed at the age of 15, Raz went on to manage LA Guns and introduce Tracii Guns to Axl Rose, who would go on to create a "side project" called...Guns ... Maggiori informazioni N' Roses. Raz also recalls Axl becoming the very first singer for LA Guns?! This is the just tip of the iceberg of Raz's story. Oh, and this is Raz Cue's FIRST INTERVIEW EVER.